It's not easy being in the center of a controversy that has opened up a can of worms about academic misconduct in universitites. Zhai Tianlin has been under intense pressure and scrutiny these past few weeks after his academic credentials were questioned and he was accused of plagiarizing Professor Huang Lihua's work. The actor initially denied the claims. 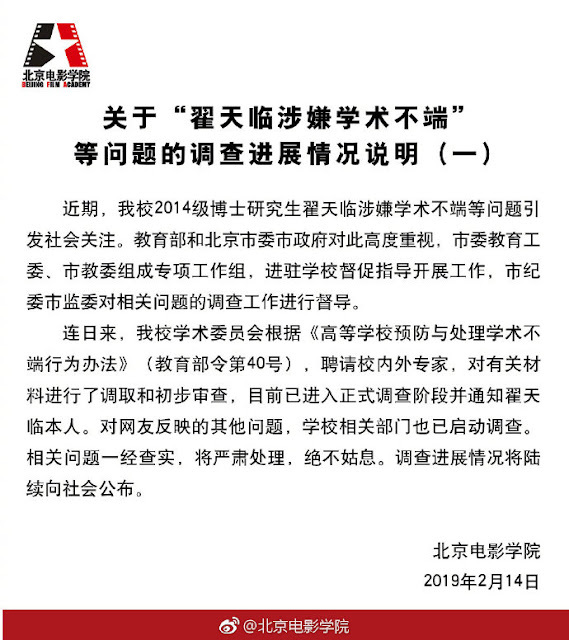 The Beijing Film Academy has recently issued a statement saying that they will launch a formal investigation regarding Zhai Tianlin's academic misconduct and that they have informed the actor about it. 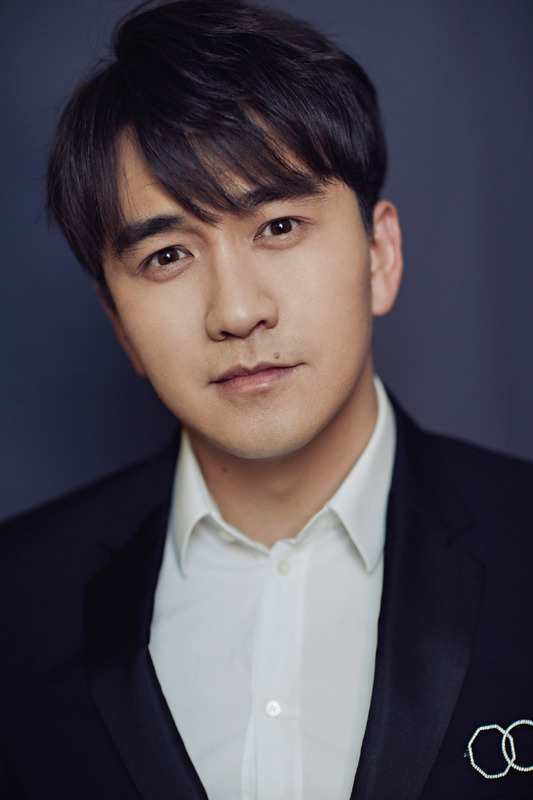 It can be recalled that Zhai Tianlin was admitted to Beijing Film Academy's doctorate degree programme in 2014 and graduated in 2018. In light of recent events, Zhai Tianlin has issued an apology. In it, he mentions that he is deeply sorry and blames himself for not telling the truth sooner and that vanity and luck has made him lose himself. He also mentions that because of him, the reputation of the Beijing Film Academy is sullied and its academic credibility is negatively affected. Zhai explains that he only wanted to have enough cultural support and theoretical foundation to make him a better actor. But after his success with movies and TV shows, he began to drift away, thinking that results were all that mattered. Zhai Tianlin has formally withrdrawn his application to Peking University and has welcomed all investigations by the Beijing Film Academy into his case, saying that he will assume responsibility for everything he's done. i never liked him as a actor. He thought very highly of himself. But this is really a sad way to end his career, if it does.